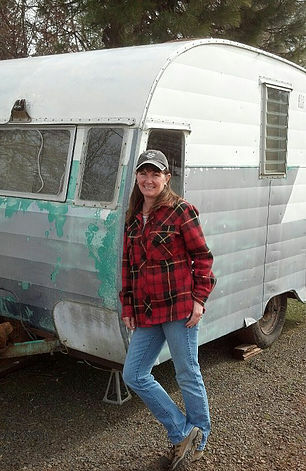 “The thing that is wonderful about a vintage trailer is that they are so simple.” says Jen. You have a bed and cooking area. If you are in a dry campground, you can cook with propane gas and you have a battery for lighting and supply of water. If you are in a campground with hook-ups you can hook up to water and electricity. Campgrounds generally have fire pits, bathroom facilities, and other amenities. Lil’ Pea Vintage Trailers will deliver the trailer to your selected campground, set it up, and pick it up when you’re stay is complete. 2018 will be the first year of operation. The 2018 Season will run from April 13 – September 30 with Peak times from May 28 – September 3. To begin with, two trailers are available. 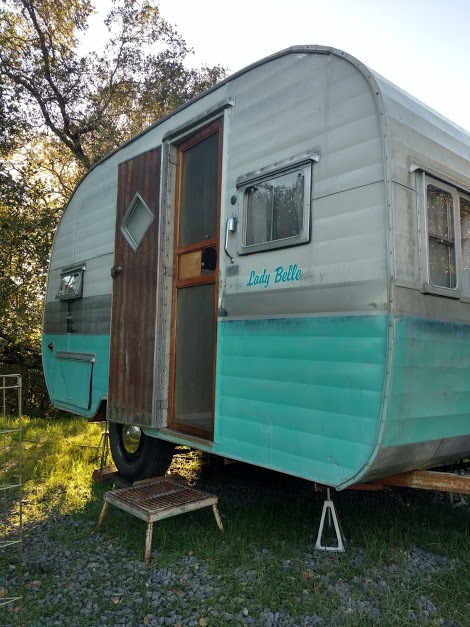 1958 FIREBALL “LADY BELLE” provides sleeping accommodations for 2-3 adults or 2 adults and 2 small children and is fully outfitted with linens. There is a full size bed and a comfy couch at the front of the unit for relaxing or extra sleeping space, and a small kitchen including a sink, stove top, an ice box, and cabinets for food storage. Cookware and place-settings are provided. An armoire is available to hold your belongings and additional storage is available under the couch. 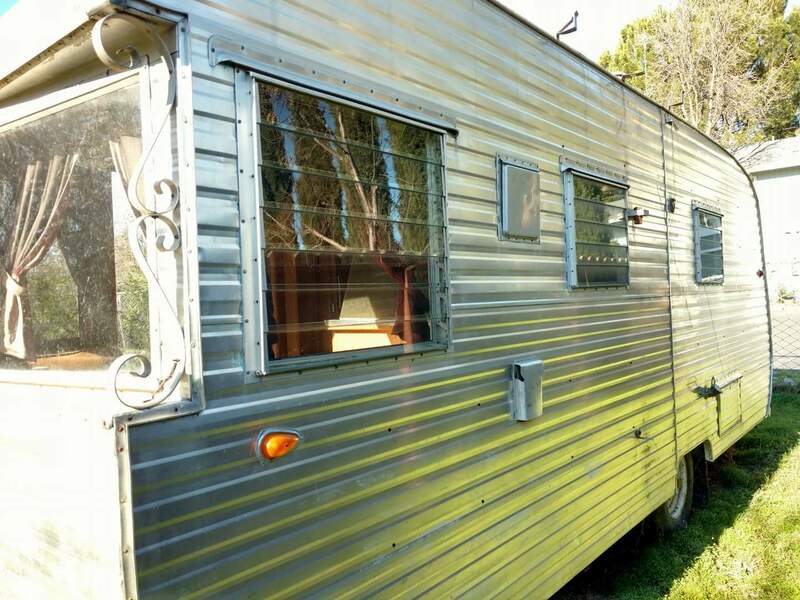 Rental for “Lady Belle” begins at $100 for a night. 1960 TRAVELEZE “LYNETTE” offers more space and has sleeping accommodations for 3 adults or 2 adults and 2 small children. All linens are provided for the double bed and the dinette that converts into a XL twin bed. Bath linens complete this full bathroom with sink, toilet, and shower. 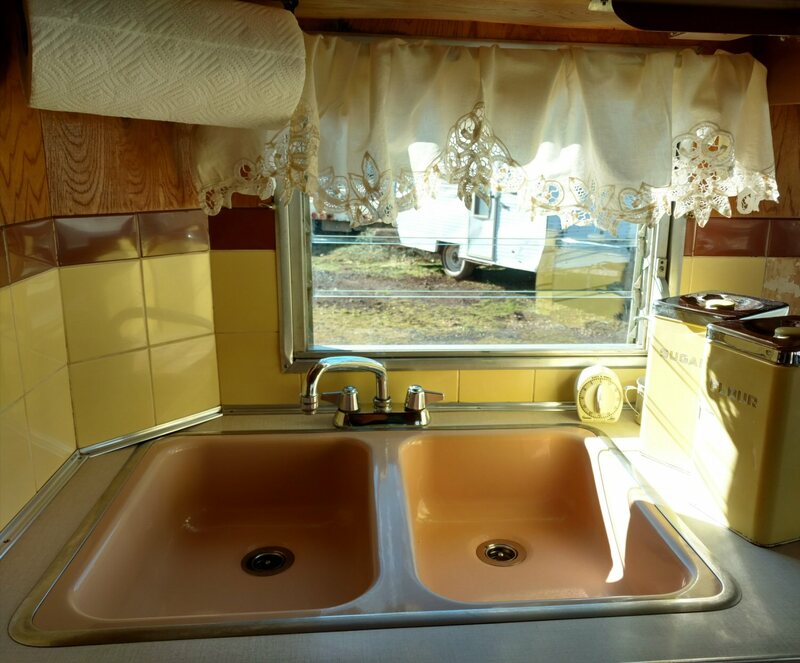 The kitchen includes a dinette, double sink, stove top, oven, refrigerator, and cabinets for food storage. Cookware and place-settings are provided. An armoire and dresser are available to hold your belongings. 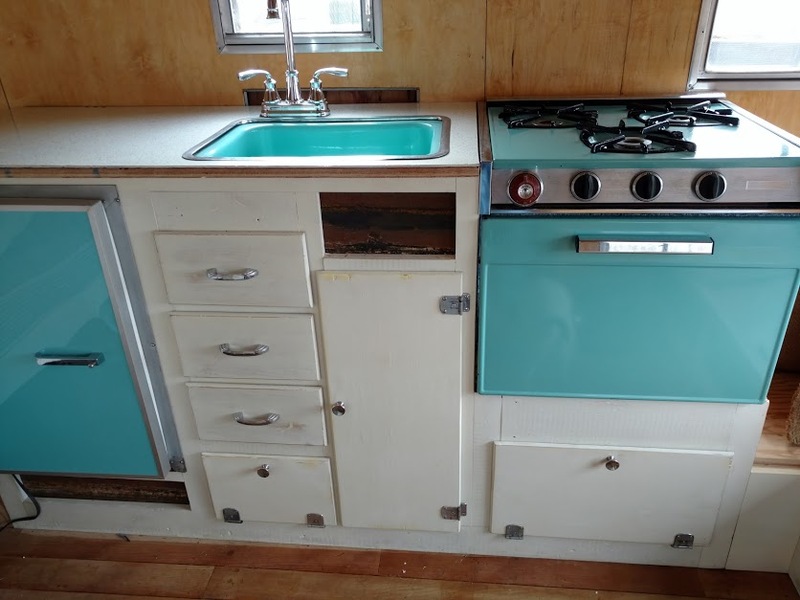 This unit also has a furnace to make it cozy on those chilly nights. This unit will be offered primarily as an air bnb. Rental for “Lynette” begins at $150 for a night. More trailers will become available as they are renovated. Lil’ Pea Vintage Trailer Rentals has partnered with the following RV Parks to make your booking as seamless as possible. Choose a campsite and a trailer and Lil Pea will help make all the arrangements for you to have a wonderful stay. Amenities vary at different campsites and parks. 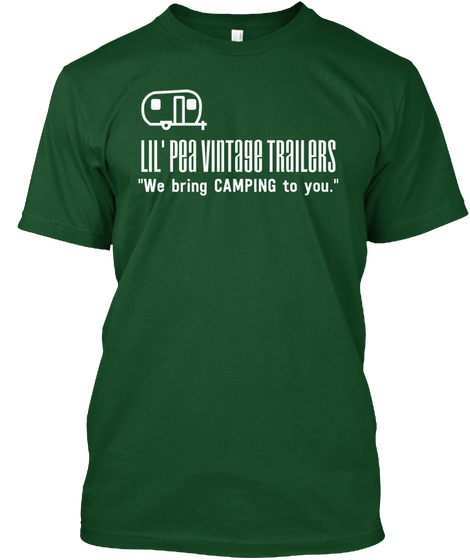 To kick off this year’s season, Lil Pea is having a special contest to win a two-night rental at one of their RV site options in the Intermountain Area by purchasing a Lil’ Pea Vintage Trailers t-shirt.